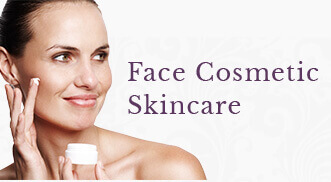 As our skin ages, several factors contribute to it appearing older. Years of environmental damage and sun exposure can result in irregular pigmentation, brown spots, deep wrinkles, and sagging skin. A history of acne in our youth can result in scarring that appears more prominent as we age due the natural breakdown of collagen and elastin in our skin. When symptoms of aging are more serious or pronounced, your physician may recommend Ablative Laser Resurfacing. 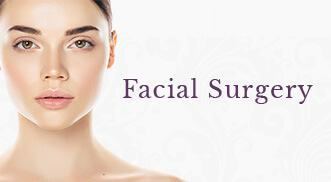 All laser resurfacing involves the removal of some or all of the surface layers of our skin. Some technologies, such as Pixel, fractionate the laser energy so smaller portions of the skin are treated in each session, allowing for shortened periods of downtime. Ablative Laser Resurfacing, on the other hand, does NOT divide or fractionate the laser energy, so treatments are more powerful, deeper, and can require extensive downtime. In fact, Ablative Laser Resurfacing is sometimes used in place of a surgical facelift, or used with it to enhance its outcomes. Your surgeon will discuss which procedure you are a better candidate for and why. Ablative Laser Resurfacing uses a laser energy that is attracted to the water in your skin and blood. As a result, it is ablative, which means it can actually remove layers of your skin while carefully controlled by your surgeon. The laser energy causes thermal (heat) coagulation of tissue. This, in turn, triggers a significant wound healing response in your skin. As skin heals, an almost “shrink wrap” effect takes place. 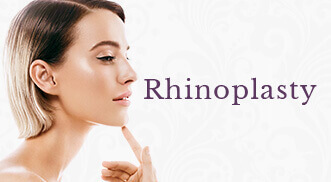 Your skin heals tighter, smoother and with more firmness. Improvements in coloration and clarity of tone, reduction in pore size, and smoothing of wrinkles and scarring results as well. Ablative Laser Resurfacing is a highly advanced form of resurfacing and should only be performed by a surgeon with extensive training. Depending on your current skin condition, age, area of concern and overall health, your surgeon will carefully tailor your treatment specifically to you. This includes customizing your energy settings and cooling parameters during the treatment to keep you comfortable, your skin safe, and to optimize your outcome. In most cases, the treatment is performed under local anesthesia during an Ablative Laser Resurfacing procedure. During the procedure you may feel a slight but tolerable stinging sensation. The days following your treatment your skin will feel hot, tight, tender and sore. There may be areas that are weeping and you will be advised to keep your skin moist. Your skin will look sunburned for up to one month, sometimes longer, as it heals. Properly caring for your skin and protecting it from the sun is imperative at this time. DAY 1-10 : Prepare for up to a 10-day home recovery. During the first 48 hours you will experience a burning sensation, like a severe sunburn. For the first 8 to 10 days you will experience oozing and crusting. All treated areas must be kept moist with the dressing applied after surgery or with Aquaphor (or any other topical your surgeon recommends). BEYOND DAY 10 : Most female patients can return to wearing makeup after day 10. Some areas of your skin may feel quite tight and dry. Aquafor can be necessary beyond this point, but most patients require use of a more emollient moisturizer. Itching is common and your surgeon may prescribe a medication to keep you comfortable. Your redness will gradually fade after a period of weeks to months. As your swelling subsides, you may notice wrinkles reappearing. This is normal. Many of these wrinkles will disappear completely or improve dramatically as new collagen forms over the next few months. Optimal improvement may take three months or longer to be fully realized. Some patients may require more than one treatment. Because this is a deeper form of resurfacing, your downtime post procedure will be longer than other forms of resurfacing. In turn, we recommend that you and your surgeon plan your procedure far out from any social events or obligations on your calendar. Your surgeon will also discuss properly prepping your skin before your treatment to enhance your results and to avoid complications during your treatment. You will receive extensive directions on how to care for your skin after your treatment and may be asked to visit regularly with one of our Licensed Aesthetician to monitor your progress. Are you interested in learning more about Ablative Laser Resurfacing (CO2 Laser)?